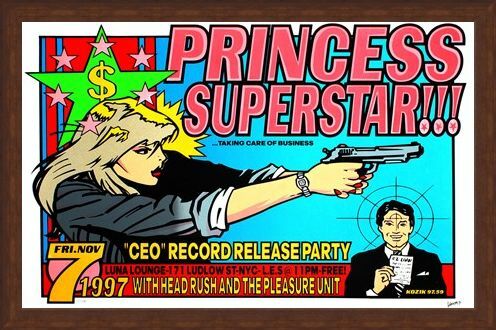 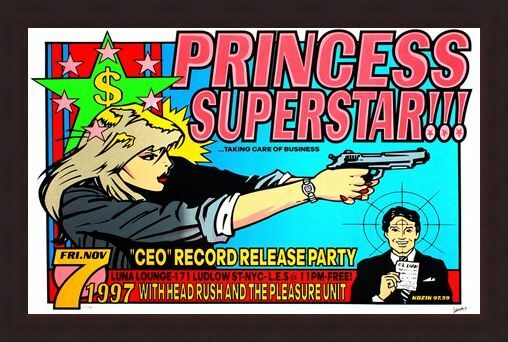 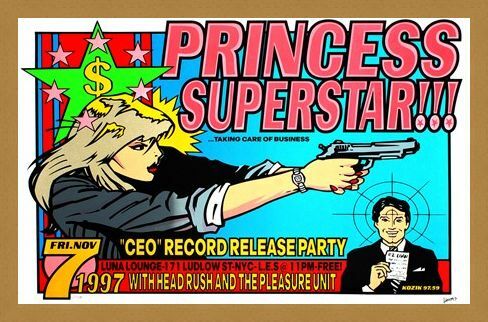 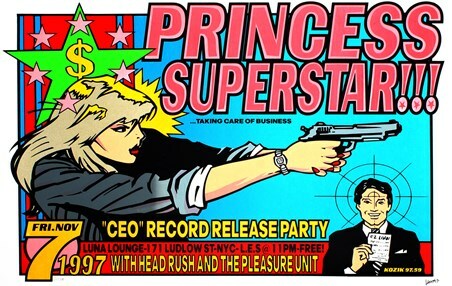 Limited Edition Art Print: Princess Superstar is best known for her 2002 single 'Bad Babysitter' but she has done a lot of work before and after that moment when she hit the mainstream. 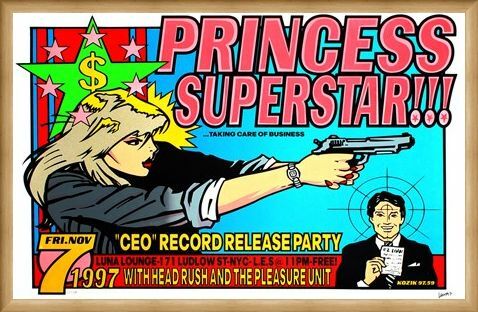 The hip hop / electro singer is pictured here in another stunning piece of art work by Frank Kozik to promote the release of her 1997 album release of CEO. 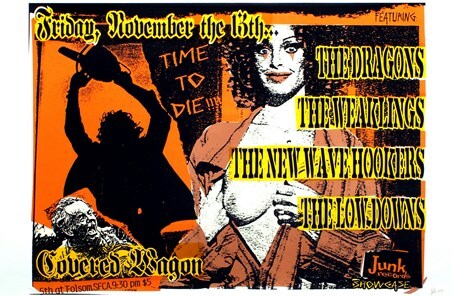 If you are looking for some exciting art work for your collection then you can't go wrong with this rare print which is signed and numbered by Kozik himself. 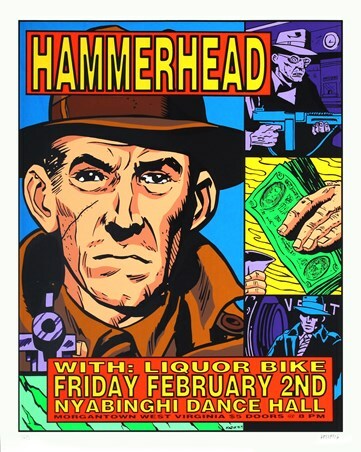 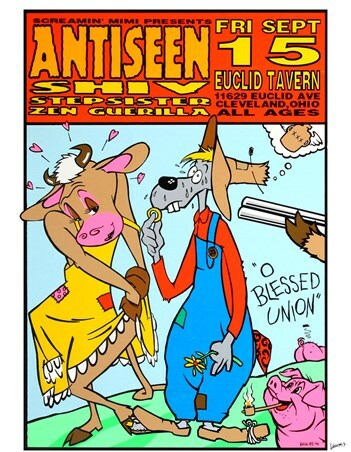 In the style of a classic comic strip segment, this print is guaranteed to make an eye catching and unique addition to your wall, whatever your taste in music. High quality, framed Princess Superstar!! 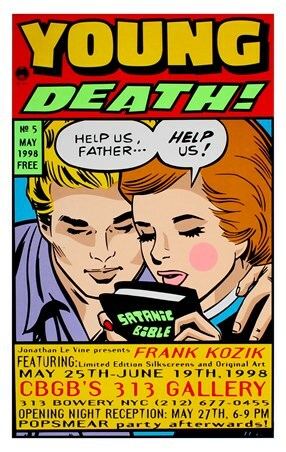 !, Frank Kozik limited edition print with a bespoke frame by our custom framing service.